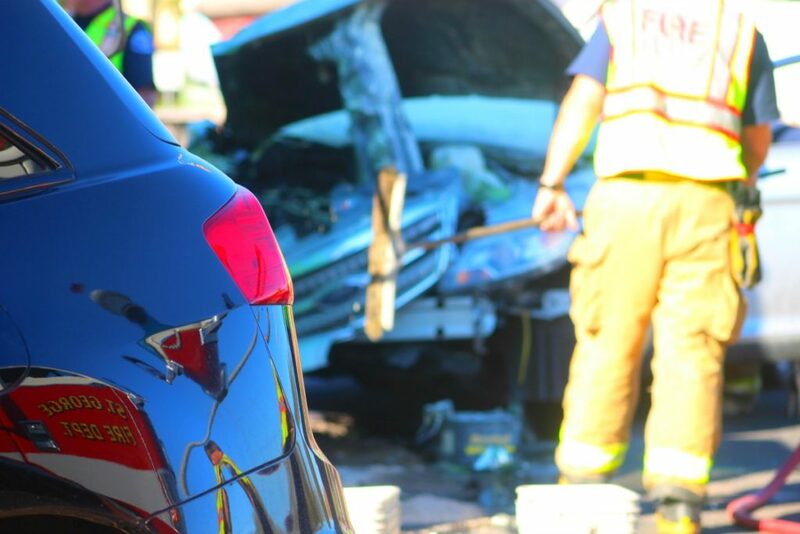 ST. GEORGE —A dazed woman involved in a head-on collision Thursday afternoon was pulled to safety by witnesses when flames began shooting out of her vehicle. 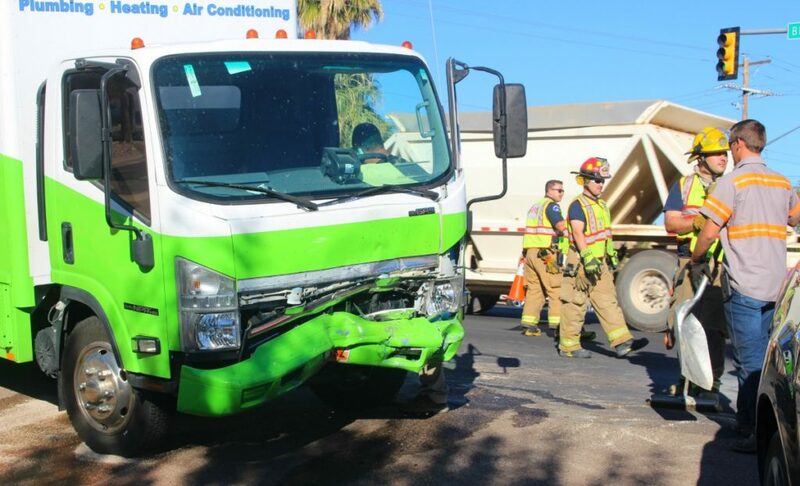 At approximately 2:30 p.m. the St. George Communications Center received a call reporting a head-on crash involving two vehicles on South Bluff Street, with flames coming from one of the vehicles, St. George Police officer, David McDaniel, said. 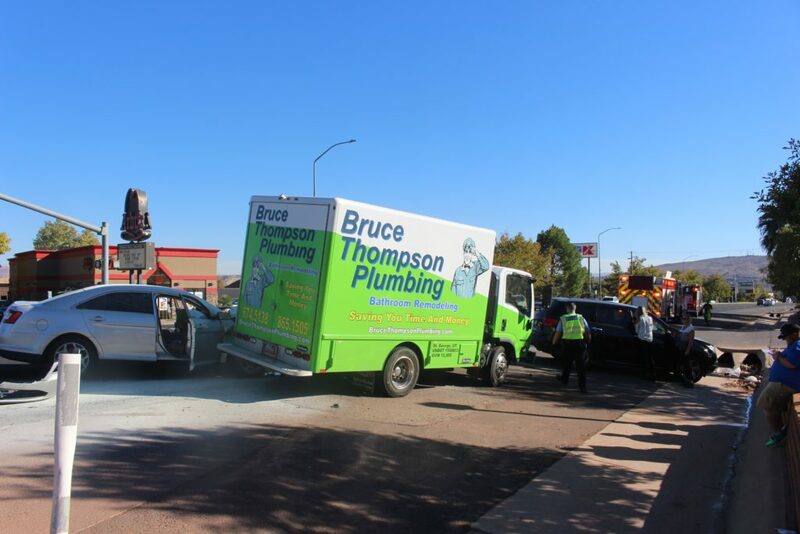 As officers and firefighters arrived they found a severely damaged Ford Taurus smashed into the rear bumper of a green Isuzu commercial truck and a man with a fire extinguisher dousing flames coming from the front of the Ford. 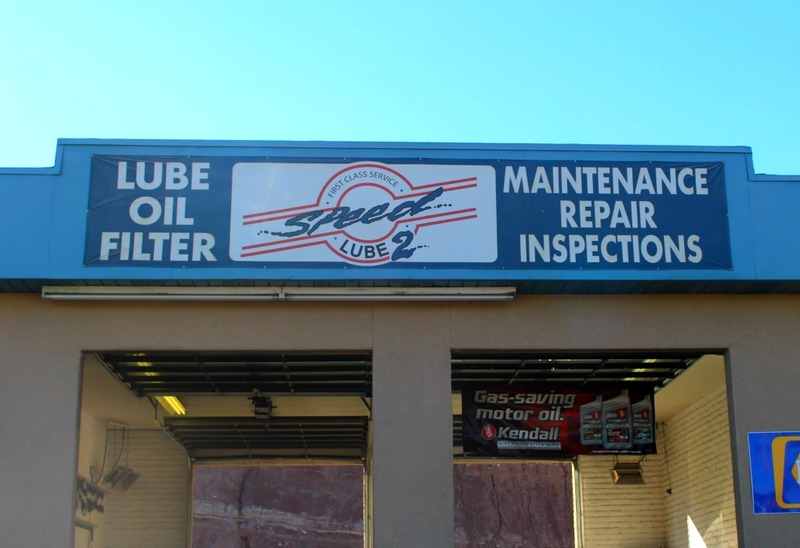 The man putting the fire out was later identified as Tyler Cottam, a service tech and safety inspector at Speed Lube 2, located at 704 S. Bluff Street, who had been working just a few yards away from where the crash occurred. “Witnesses at the scene said the flames jumped 10 feet in the air at one point,” McDaniel said. Firefighters quickly contained the remaining flames and within minutes the blaze was extinguished. Officers found the driver of the Taurus sitting on a retaining wall near the intersection of South Bluff Street and 700 South, McDaniel said. Once paramedics arrived the woman was transported to Dixie Regional Medical Center. Witnesses at the scene told officers that the woman was heading north on South Bluff Street and entered the left hand turn lane at West 700 South just as the truck was approaching the intersection. 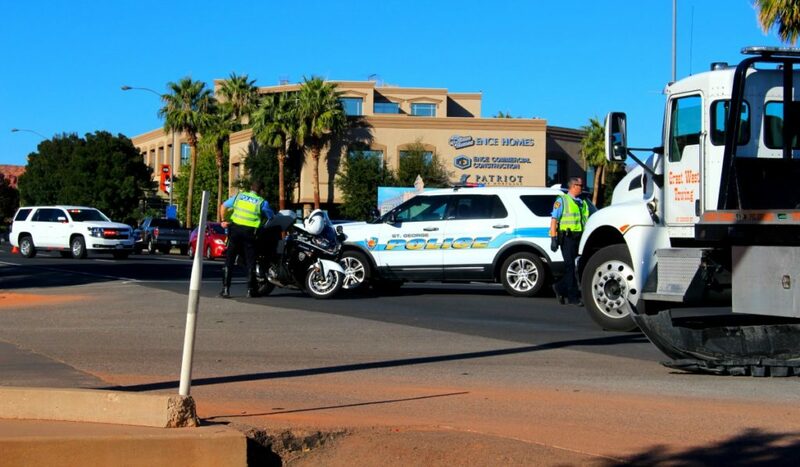 The woman started into the intersection but before she completed the turn her vehicle was struck head-on by the truck, which was traveling more than 40 miles per hour at the time of impact, the officer said. The force of the crash sent the Ford spinning twice in the middle of the roadway before it came around and crashed back into the side of the truck. Both vehicles came to rest blocking the southbound lanes of Bluff Street. 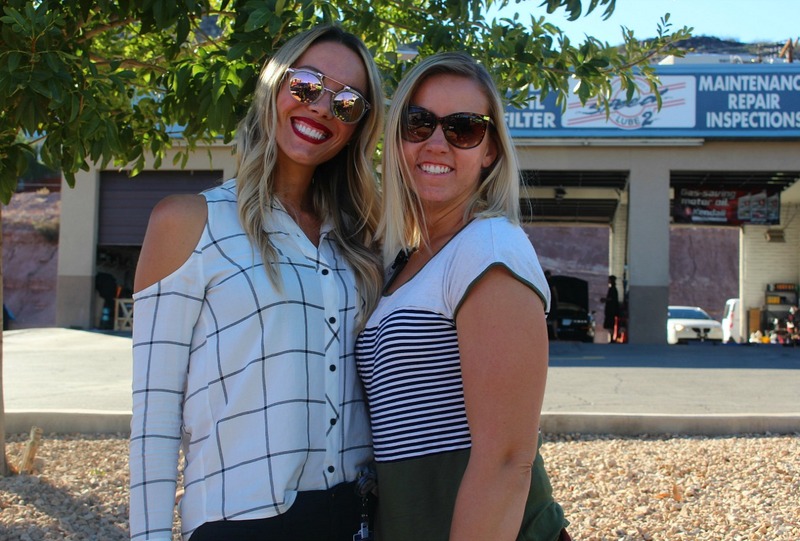 Ashley Oldroyd and Kat Allen were also heading north on South Bluff Street when they heard a loud crashing sound just as their vehicle approached 700 South. As they turned in the direction of the noise, they saw the Ford spinning around near the intersection, Oldroyd said. The women pulled over and ran to the Ford that was now crumpled into the side of the truck to check on the driver, Oldroyd said. The women noticed the driver looked very dazed and appeared as though she wasn’t aware of her surroundings, Oldroyd said. Not wanting to move the woman for fear of causing further injury, Oldroyd and Allen were trying to talk to the woman when they noticed smoke coming from the front of the Ford. Within seconds flames started shooting out from underneath the hood, Allen said. Seeing the danger, Oldroyd and Allen helped the woman out of the vehicle and walked her to the sidewalk where she would be safe until help arrived. Meanwhile, Cottam, who witnessed the crash and heard someone yelling that there was a fire, grabbed a fire extinguisher from inside the shop and ran to the burning vehicle, he said. He quickly started spraying the flames with the fire extinguisher in an effort to contain the blaze until help arrived, he said, and within minutes firefighters arrived and quickly put the fire out. Traffic was affected for approximately 45 minutes while emergency personnel tended to the crash. Both vehicles were extensively damaged and were towed from the scene. McDaniel said both vehicles had a green light, however the woman driving the Ford was required to yield before making the turn. The officer also said an investigation is underway and no citations have yet been issued. Allen and Oldroyd were heading to work at Dixie Regional Medical Center when the crash occurred and said they were grateful they were able to help the woman out of the burning car. Both have received basic medical training through their employer, which came in handy, they said. Cottam said he was glad he was in the right place at the right time to help out. This is terrible for all parties involved but I’m just glad 2 see that there was no loss of life. vehicles can always be replaced or repaired. but every once will be able to go home to their loved ones and that’s what important and a special thanks to the people that were there to help. Praise the Lord ! People fly down bluff st, I never see anyone going under 40. Wait til the construction starts in 2018.. I win,t go on bluff now..
if ur not good to drive turn in ur license. save lives. Actually, the speed limit is 45mph on Bluff south of 100 S. They were at 700 S. That said, I find a 45mph limit to be a bit high in that area. I don’t find TOO many people speeding right there, unlike Dixie Dr.